As winter rages on, it’s time to think ahead to warmer days. Spring will be here before you know it, and now is the ideal time to hire painting contractors to spruce up your property. ProCoat Painting has provided property owners in Batavia, OH, with commercial and industrial painting services for the past 30 years. They’ve seen many winters come and go, and they’ve learned through experience that the earlier you schedule service, the better. Plan Ahead: Spring is a busy season for painting companies, and they usually book jobs weeks in advance. If you know you need painting work completed by a certain date, there’s no harm in scheduling service as early as possible. It will give your painting contractors plenty of time to plan, and you’ll benefit from the peace of mind. Watch Out for Weather: Both winter and spring are known for unpredictable weather patterns, and if you’re planning exterior painting, you’ll be at the mercy of Mother Nature. There’s no point in trying to predict the weather two months in advance, but getting the work done early gives you time to plan for rain delays. Most painting contractors suggest painting during mild temperatures to allow commercial paint to cure, and the summer sun is often too hot for optimal conditions. Promote Productivity: The longer your painting project goes on, the more distracted and unproductive your employees will be. 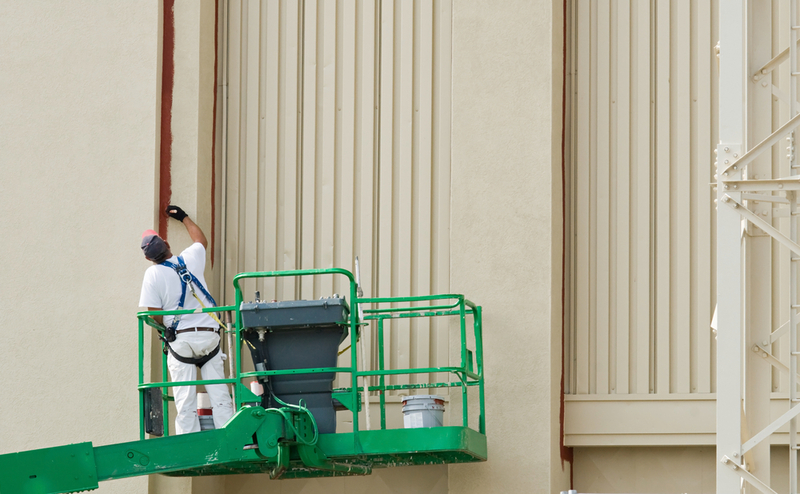 Whether you’re painting interior walls or your building’s exterior, the presence of commercial painting contractors can throw a wrench into everyday productivity. You need to schedule service on days that will be least inconvenient, and the sooner it’s finished, the better. Scheduling early is the only way contractors can make that guarantee. If you wait too long, your property improvement project could end up taking longer and being more expensive than you thought. Call ProCoat Painting at (513) 735-2500 to hire the best painting contractors in the area, and connect with their team on Twitter.